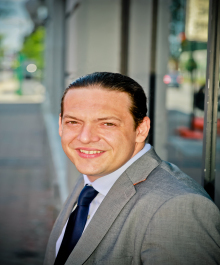 Lain Hanna has been a liscensed realtor since 2005 when he started with Max Broock Realtors and has worked his way up to a high producer. His team's production is within the top 10% of Max Broock Realtors Birmingham. The number one company in the State of MI. Based on a service model that gets the results the customer wants. Lain has captured the Young professional market of Birmingham and Royal Oak but certainly works with well with everyone. He is driven and tenacious and has client testimonials to prove it.